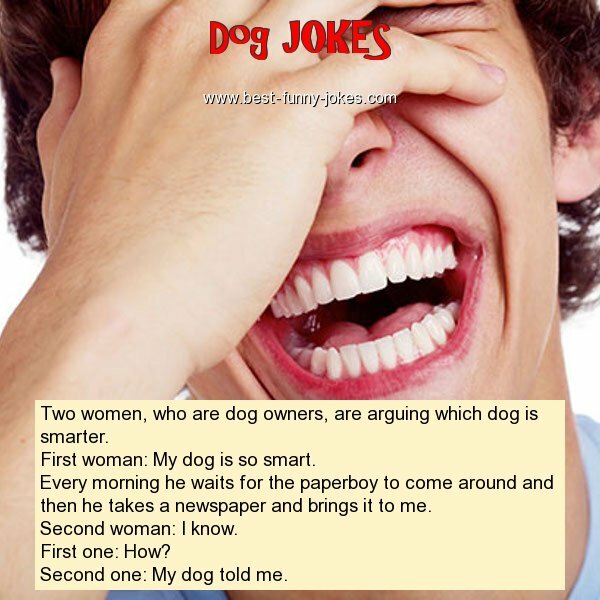 First woman: My dog is so smart. Every morning he waits for the paperboy to come around and then he takes a newspaper and brings it to me. Second one: My dog told me.